Deputy Prime Minister and Defence Minister Ishwor Pokhrel today said the government could not carry out expected performance for want of necessary laws and structural management. Keeping in view such difficulties created by lack of laws, he said, the government was at work to formulate laws soon. He also asked for suggestions in this regard from all quarters. 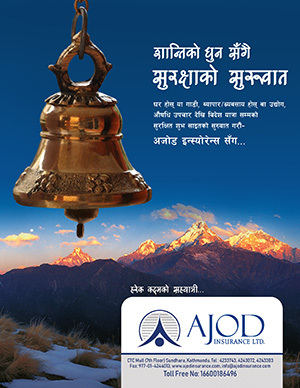 The DPM was speaking at a programme organised here on the occasion of the 28th anniversary of Deurali-Janata Pharmaceuticals Pvt. Ltd. Pointing out that the pharmaceuticals is developing as a ‘proud’ industry, he asked it to focus on quality products. Likewise on the occasion, Director General of the Department of Drug Administration Narayan Dhakal said the government was working to set up a well-equipped laboratory to carry out research on drugs. He stated that 45 percent of the drugs consumed are produced within the country. He also stressed the need for making a clear policy on drug production and distribution to increase domestic production. 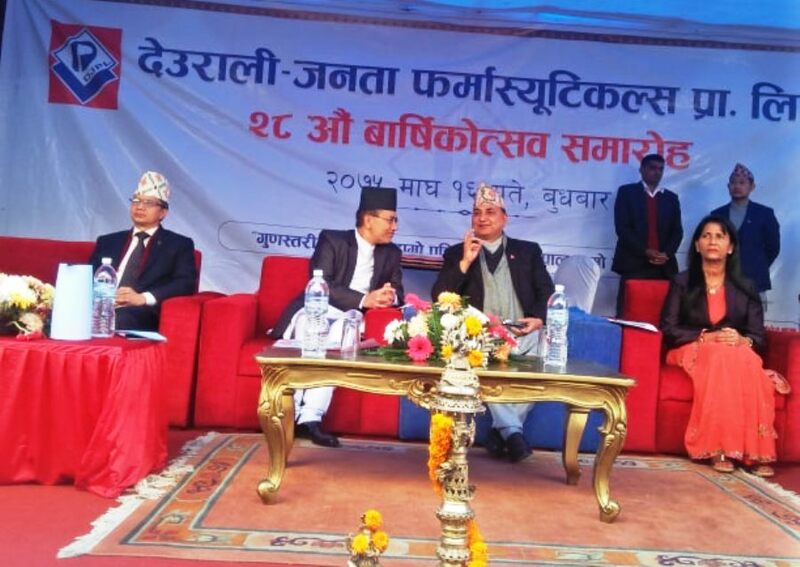 Mayor of Tokha Municipality Prakash Adhikari pointed out the important role of industries to prosper the country, while Executive Director for the Pharmaceuticals Hari Bhakta Sharma said they were working to raise country’s economy. He also laid stress on creating conducive environment for the promotion of trade and investment.